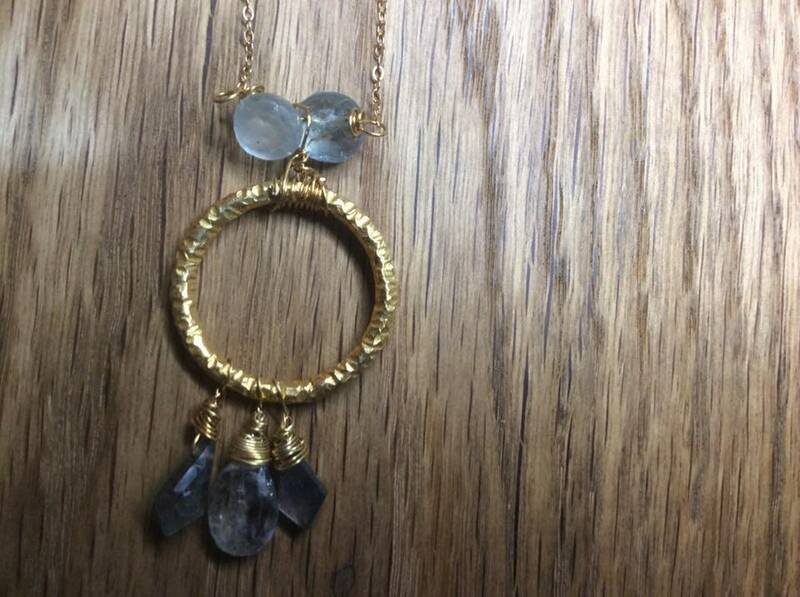 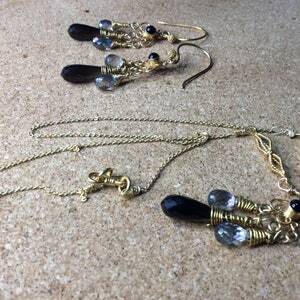 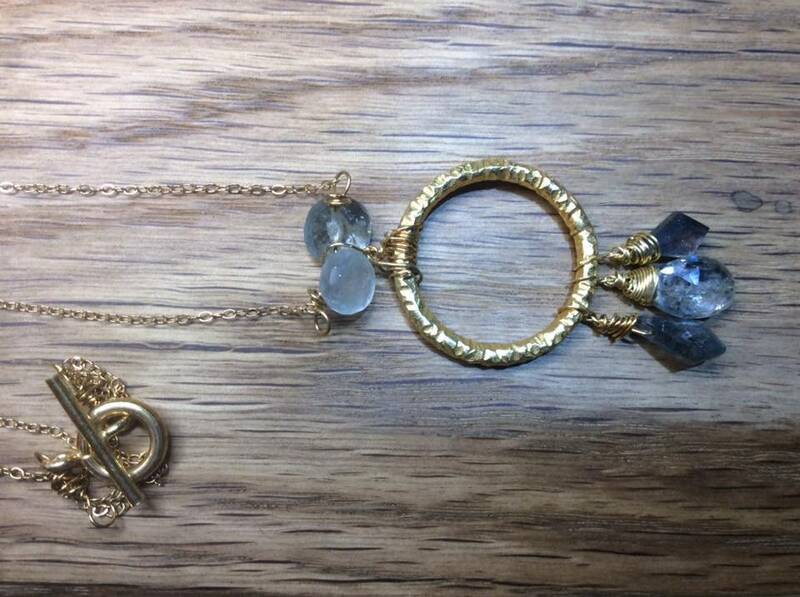 a gold vermeil hammered circle, with 2 faceted kite shaped labradorites and a faceted briolette moss aquamarine hanging from it. 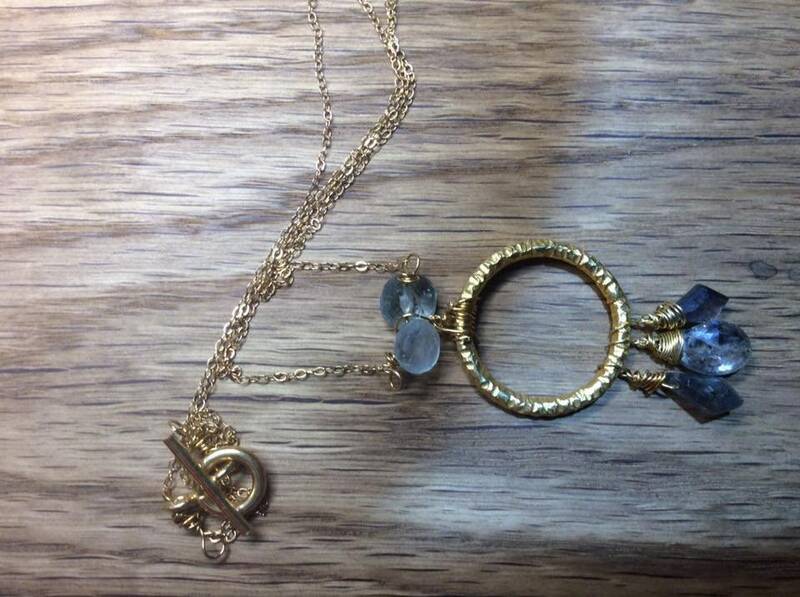 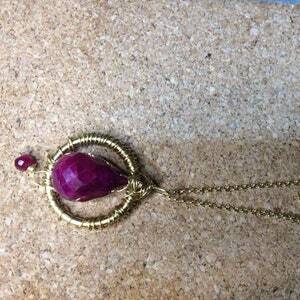 The circle is fixed to a gold vermeil chain with 2 faceted onion shaped aquamarines. 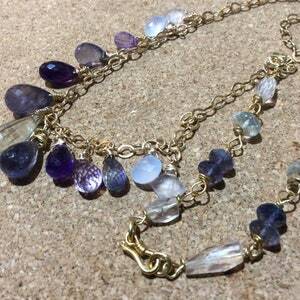 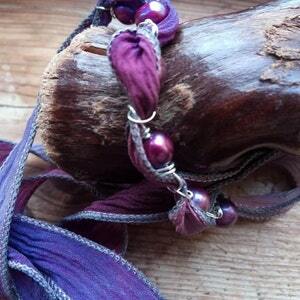 Some lovely blues and flashes of other colours in this necklace.